Grilled Chicken Tacos with Bacon are a delicious fusion of two of our favorite Summer dishes. The bacon flavor in each bite takes chicken tacos to a new level! What better way to celebrate Cinco de Mayo than with TACOS? 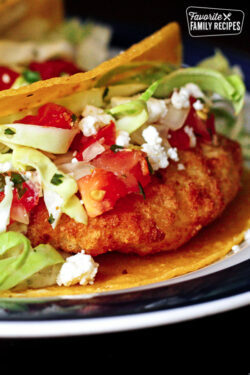 Ok, ok, these Chicken BLT Tacos aren’t “authentic” but they are still delicious! You are going to love the bacon-y flavor in each bite. SO tasty! We made these the other night when we wanted to make grilled chicken tacos but also had some extra bacon we needed to use up. I mean, when is chicken and bacon ever a bad idea? We decided to add the bacon to the tacos and woah Nellie, it was GOOD. My kids liked it best with a little ranch dressing over the top. My husband and I loved it with just a little sour cream. Try it both ways, or use both! You can’t lose here. Use a meat thermometer: When grilling the chicken ALWAYS be sure to use a meat thermometer. ANY time you do ANY meat on the grill, you will want to use a meat thermometer. Meat can be so tricky and in only a few short minutes it can get dry and overdone. Or worse, pull it off too early and it’s UNDERdone. Hacking the chicken in half to check doneness is not a great way to go. You will be letting all those juices drain out and you will have dry chicken before you know it. I can’t emphasize it enough, invest in a meat thermometer if you want perfectly juicy grilled chicken. Let it rest: You are going to be smelling that amazing grilled chicken smell and you will want to dig in right when you pull them off the grill– but resist! Just for a few short minutes. It is hard, I know. Let that chicken rest before cutting into it. It will taste better and will be more tender. 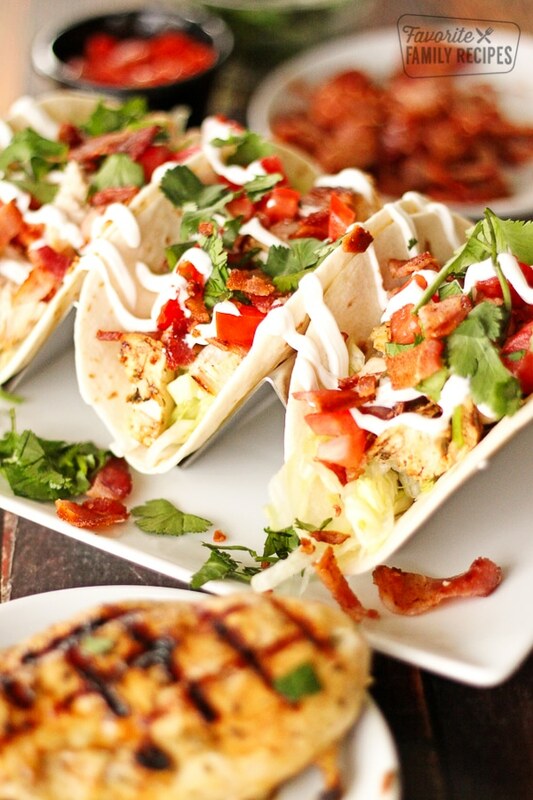 Grilled Chicken Tacos with Bacon are a delicious fusion of BLTs and chicken tacos. The bacon in each bite takes chicken tacos to a whole new level! Drizzle a little olive oil over each chicken breast. Generously rub each chicken breast with taco seasoning. Grill over medium-high heat for about 6-7 minutes on each side or until chicken reaches internal temperature of 165 degrees. Remove from grill and let rest for about 3-5 minutes. 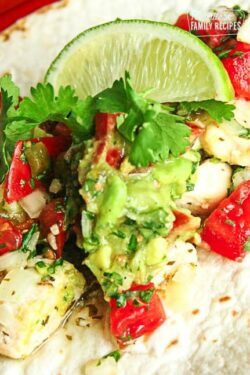 Cut chicken into slices or bite-sized dices and place on tortilla. Top with remaining ingredients and serve immediately. 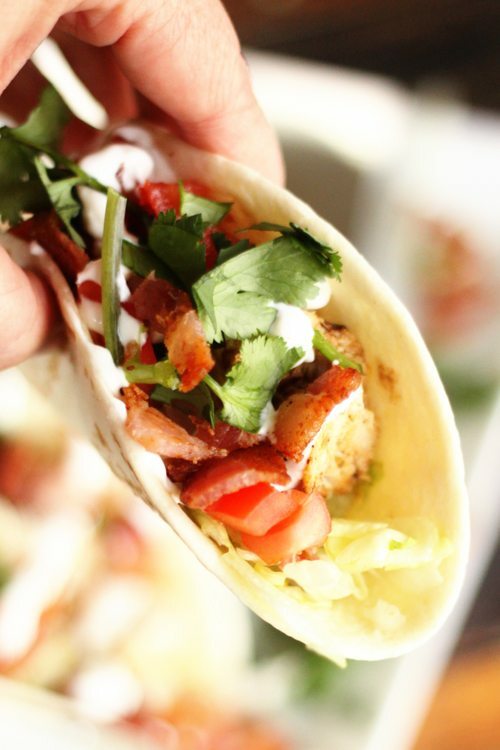 Bacon takes a typical chicken taco to a whole new level! Kids loved these. 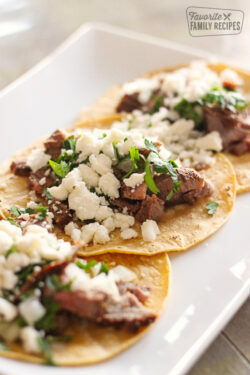 I made them using the small street taco flour tortillas so they were easy to handle for them. 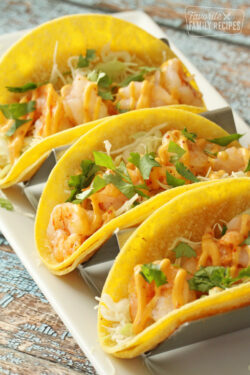 These will be a new staple for dinner in our house!